Like to be a customer? Large fillets taken from the sides of the whole trout. This may contain bones. DD Fish’s top quality succulent lock reared Scottish salmon whole, Farmed in the clean, clear environment of Scotland, only comes in 2kg and above, comes to you gutted but can be arranged to have the head and tail taken off, there will be a weight loss. Scottish salmon fillets are taken from the sides of our whole salmon for a succulent distinct flavour and a deep colour. Scottish salmon steaks usually 4 chunky steaks per kilo, this product cannot be boned as the bone runs straight through the middle of the steak. But it has a distinct flavour and deep in colour. 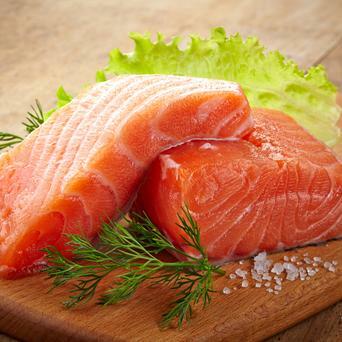 DD Fish’s top quality, one of the most delicious and nutritious oily fish. A great source of cholesterol reducing Omega-3 fatty acids if you don’t mind the bones. DD Fish’s top quality, a delicious fish due to its excellent value and high nutritional content. Not only does this fish have an excellent flavour but it’s also a great source of vitamin A & D.